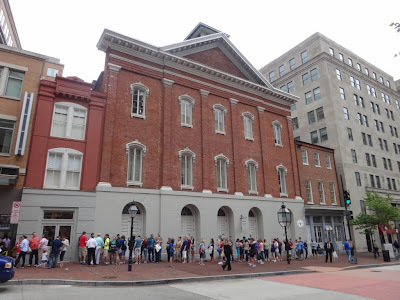 Photograph 1 - Ford's Theatre, 511 10th Street Washington DC. This is where Abe Lincoln was assassinated back in the 1860's. 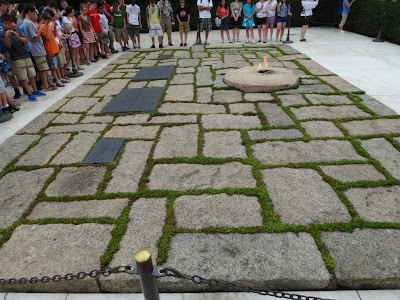 Photograph 2 - Gravesite of the Kennedy Family (with eternal flame), Arlington Cemetery. 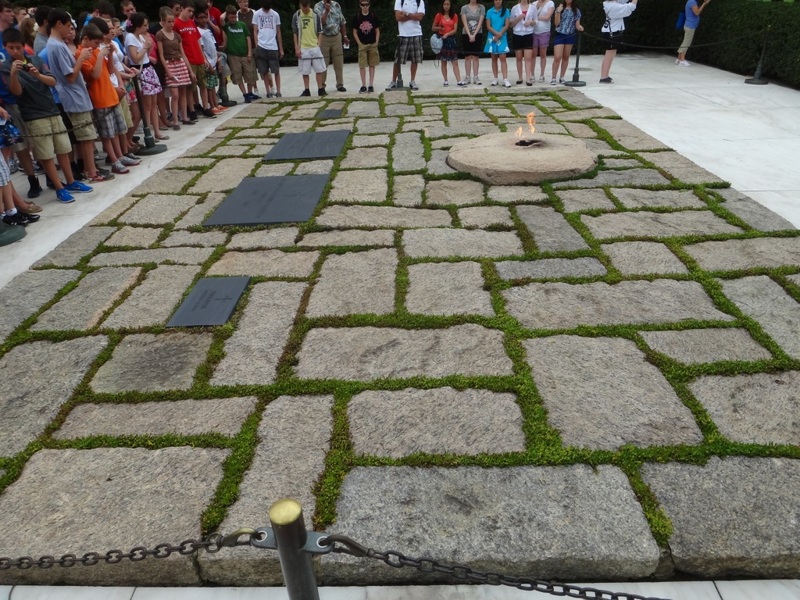 The first grave (far left) is 2-day old Patrick Kennedy who died in 1963,the second is JFK, the third is Jackie and the fourth is a daughter born/died in 1956. Photograph 3 - There are over 350,000 graves in Arlington Cemetery of military servicepeople. The front headstone is a recent Medal-Of-Honor SGT Paul Ray Smith who died in 2003 in Iraq. Check out the website for further info about his valour. 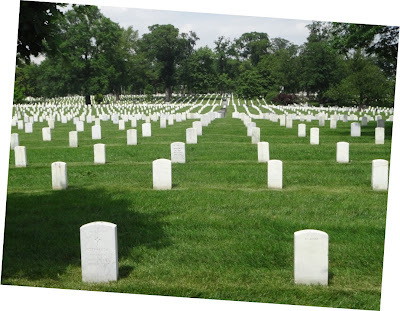 Photograph 4 - One of the small sections within the Arlington Cemetery.-------------------------------------------------------------------------------------------------------------------------------------------------------------------------------------------------------------------------------------------------------------------------------------------------------------------------Firstly, I have sent out a plea two days ago to any readers of this blog to gratefully reply by placing a comment or by sending an email message. So far there has been two people that have responded and many thanks for your messages. We know that there is difficulty in sending comments though the comments box within the blog. The process appears to be asking for registration and other details. If this is too difficult alternately an email to us will be appreciated. In fact this is more personal and possibly preferred - Anne & I will reply in kind as soon as we can. As for the blogspot Anne + Neil 2012 - if this is of no value to anybody we'll stop placing any more updates - please let us know??? Now what did we do today? After our B&B breakfast we walked past 511 10th Street where the Ford Theatre still resides. 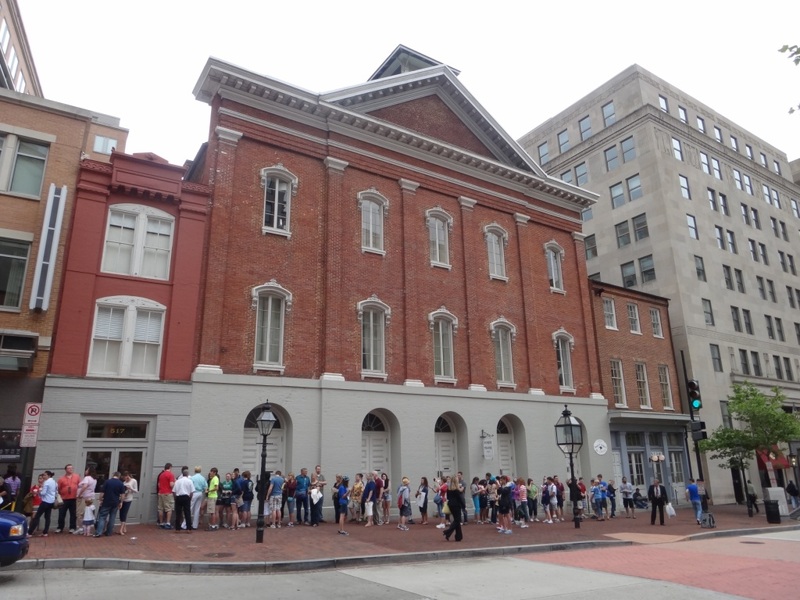 This is the site where good old Abe Lincoln was assassinated back in 1865. As you can see in the photograph there was a line up with many patriotic Americans ready to part with money for tickets. We continued on into the National Archives and spent an hour doing research following on from yesterday's visit. Anne had no luck, but Neil's James Henry Bagley has a link with Ward 17 district in New York City back in the early 1800's - this is great and with further research back in Australia may lead to better things. What we have almost established is that JHB has Irish heritage. Neil can dispense with the 16th part American in him for the time being. From the archives we took a Metro train to Arlington Cemetery. There are over 350,000 gravesites dedicated to military personnel from the American Civil War onwards. JFK was the most visited site. His brother Robert and Ted are buried in simple graves nearby. The amount of headstones is amazing. Brigadier-Generals, Admirals are abundant. There is a small section of Confederate soldiers who have pointed headstones instead of the rounded Union type headstones. Apparently no Confederate solders were allowed in the ground, however unknown soldiers managed to buried there. We witnessed a memorial parade with a 3-star US Army General officiating. There was also another foreign General alongside him - his country of origin is unknown. 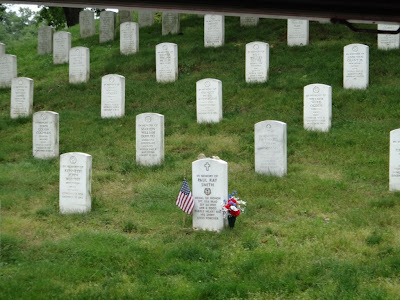 After Arlington we railed it back to our B&B and made phone calls to NYC to confirm our tours/accommodation. Our helicopter tour over NYC on Thursday has been cancelled because we are the only two passengers. We were not impressed as they need four passengers and cancelled the flight. They did offer us an afternoon flight, but we have already booked another tour. To appease the situation they put us on an 20min morning flight (cheaper option) instead of the extended (cancelled) flight. Also to soften our complaint they will put us in the best seats on the helicopter. If that was annoying, when we confirmed our NYC accommodation, the Manhattan guest house owner informed us that we have organised our arrival one day later and staying for five days. The is BS as my paperwork states that our arrival will be tomorrow for three days. The owner on the phone kept screaming that it wasn't his fault - gee wiz wait until I show him the print-out of the arrangements back in January. Expedia and HotelCom do warn people about Abingdon Guest House, NYC regarding their hopeless and unforgiving arrangements. There are many bad reports about this place. After speaking with this character he offered us another room within the building for the first night and for the remaining two nights we can go into the pre-organised room. Sounds good.....well...the first night we will have a private bathroom across a public hallway. The owner also mitigated the situation by giving us a 10% discount of our total bill. Doen't our predicament sound like a Jerry Seinfeld story. That's it for today -tommorrow an update on our NYC experience will follow - cheers. Looks like you're having a lovely time. Enjoy New York!